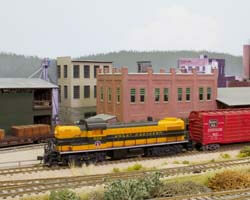 Nick Muff’s HO scale KCS layout is centered around the Union Station in Kansas City, Missouri. Based in the 1940s, the layout features mostly passenger traffic (but also some freight) from Kansas City south to Shreveport, Louisiana. The scenery is quite detailed and includes custom-built structures and details. This feature includes some extras, as Nick restored an F7A locomotive cab to be KCS No. 20, an E7. He also created a mini museum of KCS furnishings and history in a Pullman lounge car complete with a pneumatic entry door. 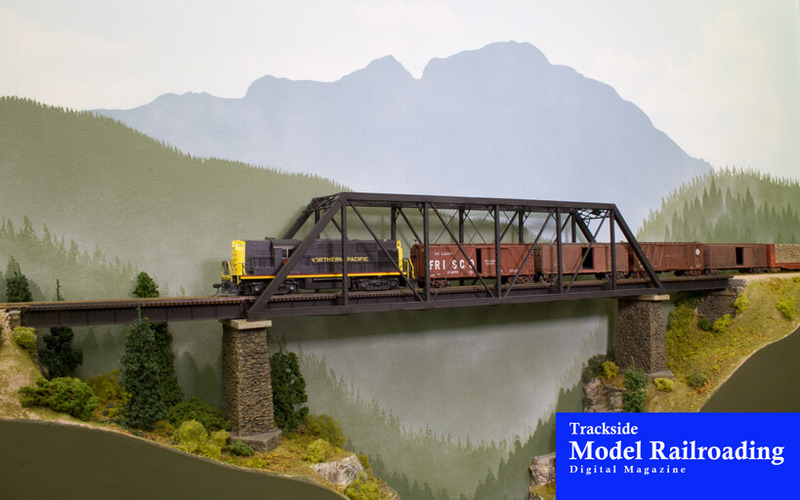 We think you will appreciate the full experience of the layout and the added features that Nick has built. Many photographs, videos of both the layout and the extras, and an article about the layout are included. 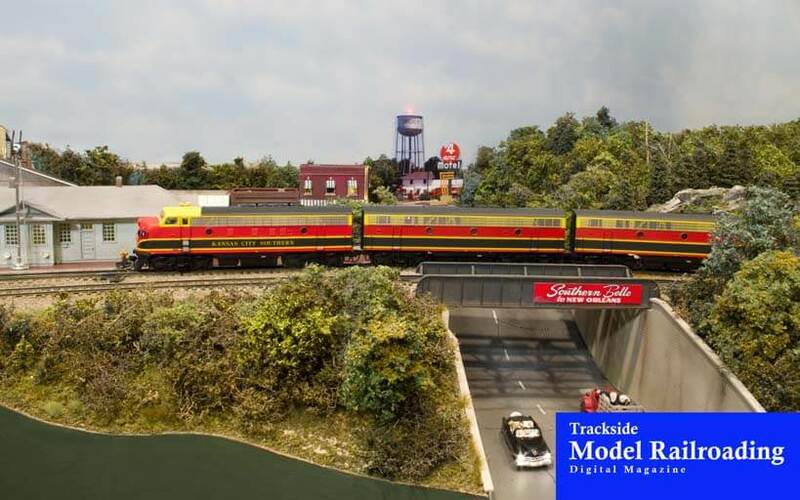 Steven Shores’ HO scale layout is a freelanced 1950s-era layout based on the Northern Pacific in the Pacific Northwest. Steven’s main interest is operations, and he carefully planned the layout’s function before he began building the Pacific Shores Railroad. The railroad operates in several mythical towns and is fully scenicked with many industries to provide for interesting operations. Steven runs both steam and diesel locomotives. He has included some creative scenery ideas and custom work that we think you will enjoy. This feature includes a video, an article, and photographs of the layout. We share the second part of a two-part project this month. Last month we showed the steps to make an operational gate, and this month we share the steps to build the chain-link fence to go with it. You can make the fence separate if you wish. For the fence, we offer two different versions: one version is stronger and more detailed, and the other is a little simpler.